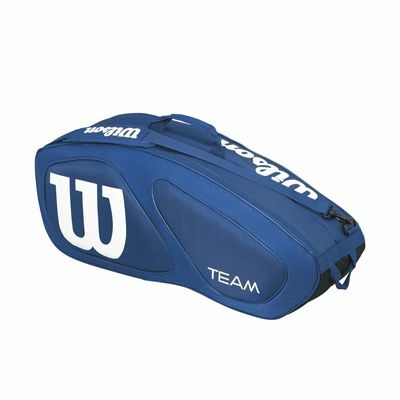 The Wilson Team II racket bag features two large main compartments to accommodate up to six rackets, apparel and footwear and has been designed to let you carry the gear to the courts in comfort and style. This spacious and practical bag with a lightweight design has a large zipped outer pocket for your accessories and valuables and offers a carry handle and an adjustable, detachable, padded shoulder strap for comfortable carrying. 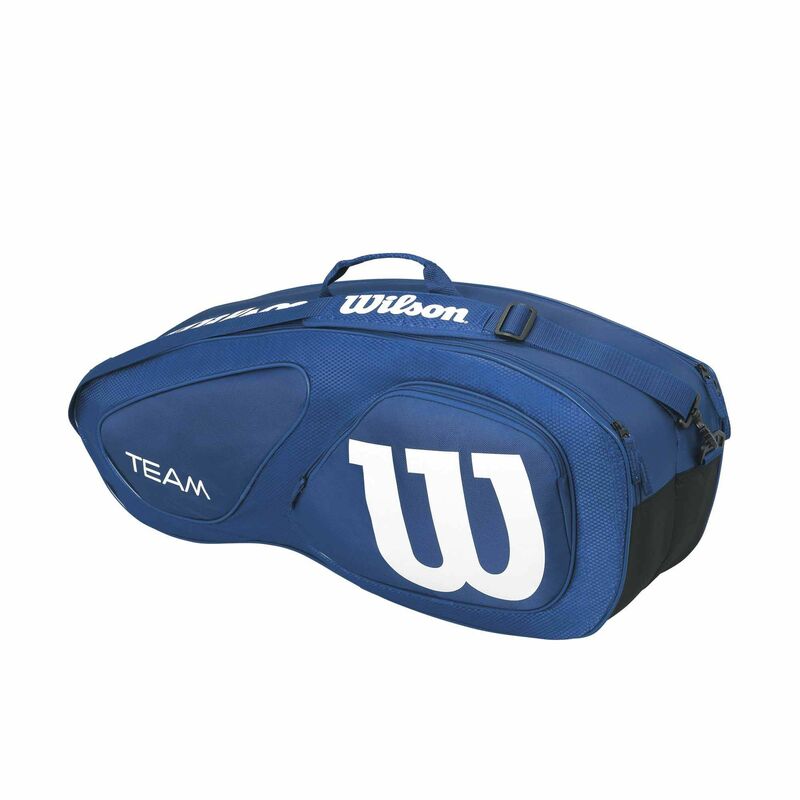 for submitting product review about Wilson Team II 6 Racket Bag.